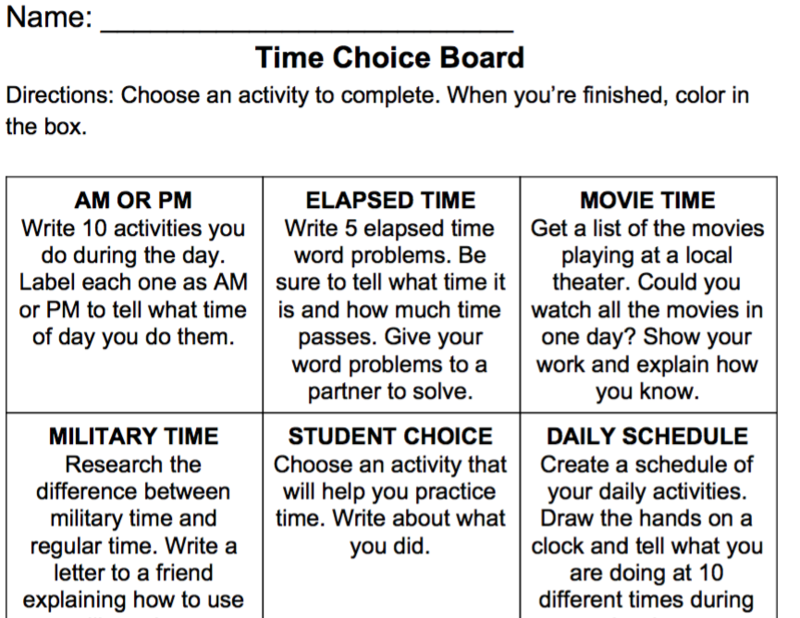 This choice board is a great way for your students to practice time. They will demonstrate an understanding of setting clocks, telling time, and finding elapsed time. This choice board is perfect for your guided math centers, math homework, or early finisher activities. It is perfect for grades 3-5.